Prince, who died on Thursday at 57, leaves behind one of music’s most prolific legacies, having released more than 50 albums under his name as well as more under others. He was also notoriously precious with his work — YouTube is practically wiped clean of his music and performances — particularly with the advent of streaming. “My thing is this: The catalog has to be protected,” he told Ebony in a since-removed interview in late 2015. Last summer, he removed most of his music from every streaming service save for Tidal, only occasionally uploading one-offs to SoundCloud (which he later removed) and inexplicably giving Spotify his 2015 song “Stare.” Upon his death, the world will want to take a deep dive into the Purple One’s catalogue, but how on Earth do you find it all? The answer isn’t simple, and it’ll take some alternating between mainly Tidal and iTunes to get the bulk of it. No, seriously: MTV has blocked out its schedule for the rest of the day to play Prince music videos, interviews, behind-the-scenes moments, and more. Sorry millennials, not Rdio — the literal old-timey radio. Turn on the one in your car right now (especially if you’re in Minnesota) and guaranteed Prince will be playing. Sirius XM will also be playing a Prince tribute until 10 p.m. EST, and likely past that. 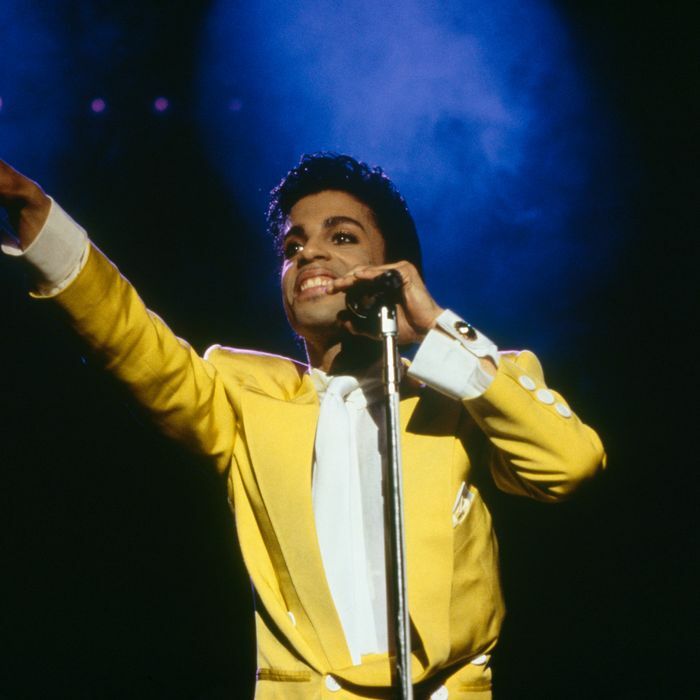 Apple Music’s Beats 1 radio is also currently broadcasting a Prince marathon.